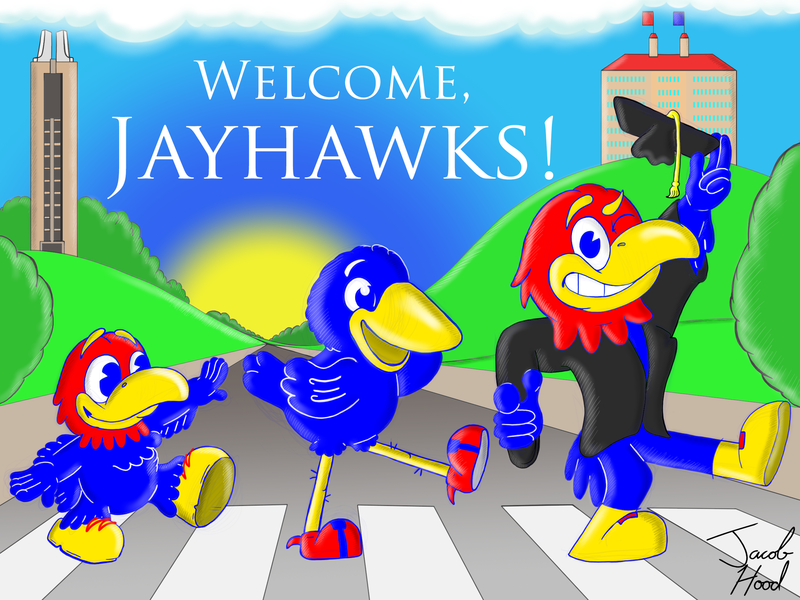 Baby Jay, C Jay, and Big Jay welcome you to the campus of the University of Kansas. This was created for all incoming freshmen at this summer's KU orientation. A Jacob Hood comic/Kansan cartoon.